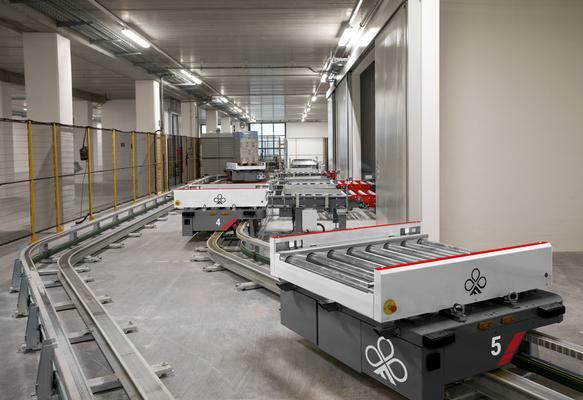 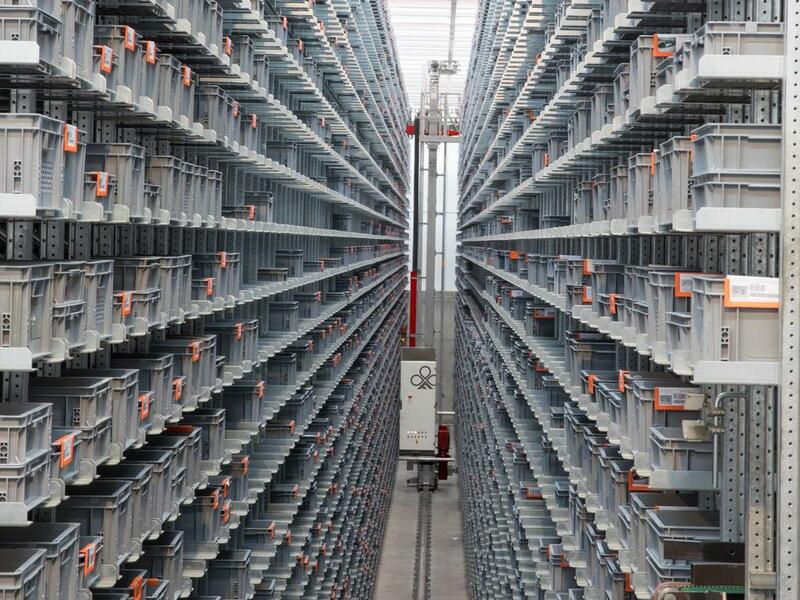 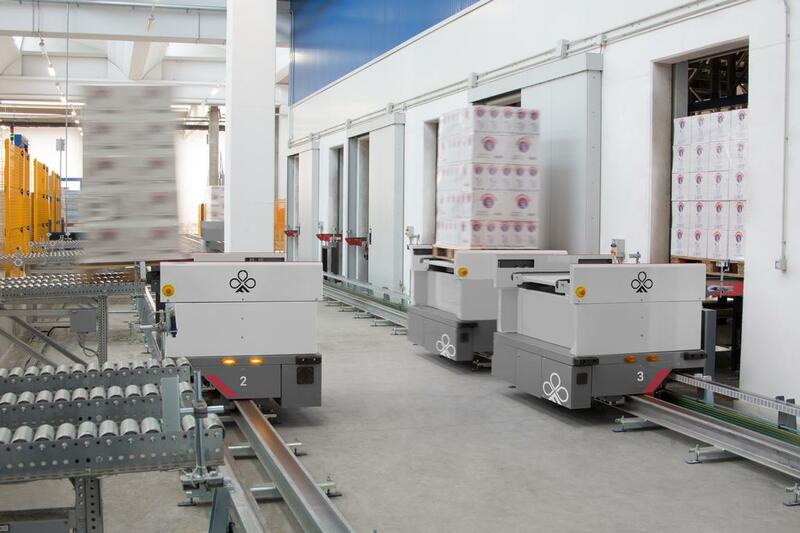 Fast ring, the Ferretto Group monorail shuttle, is a handling system that, when installed at the head of automatic storage systems, sorts the pallets to be fed into the automated storage and retrieval systems and vice versa. 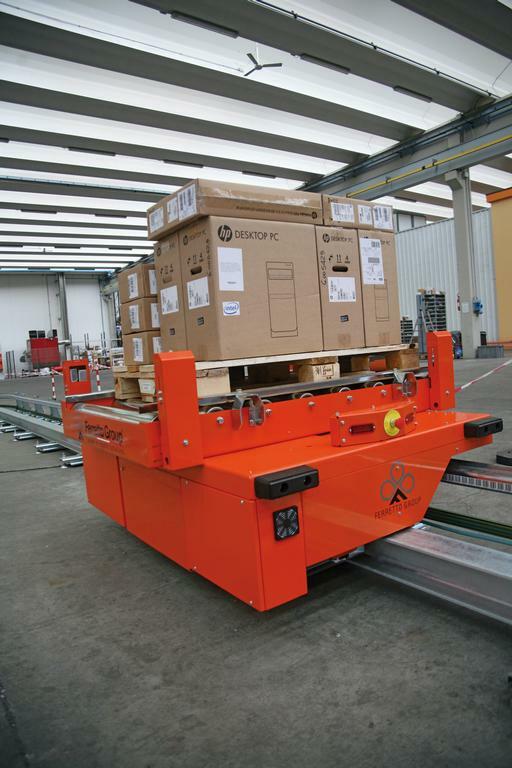 Each individual shuttle picks the pallets from the loading positions and returns them to the unloading or picking positions. Each Fast Ring shuttle has its own electric panel that communicates with the ground station via radio frequency and, thanks to the use of an integrated system designed and manufactured by Ferretto Group, offers excellent performance by significantly improving the management of internal logistics.